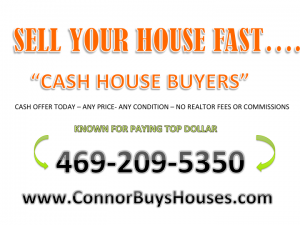 SELL MY HOUSE FAST GRAPEVINE "WE BUY GRAPEVINE HOUSES"
GET A CA$H OFFER RIGHT NOW TODAY!!! Your in the right spot…. 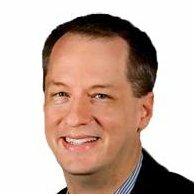 Connor Buys Houses is one of the top house buyer’s in the Grapevine market. We are best known for paying TOP DOLLAR prices for houses and closing quickly. We are house buyers we are not realtors and we do not list your house and watch it sit. We buy houses Grapevine cash. We also have 3 other strategies with variations of each to help homeowners sell their house fast and accomplish what they intend to and do so quickly. We can buy any house and in any price range if we can make the numbers work for you and work for us. We buy properties that are damaged and the ones that have liens and backed payments attached to them. We have seen it all and we can help just about any owner. We buy fire damaged, water damaged, smoke damaged, pet damaged houses. We buy new and old houses, ugly and pretty houses, big and small houses…. we buy them all. We just need 15 minutes to walk the property, take some pictures, run the numbers, and the make an offer on the spot contract in hand. We do not want to waste your time. We are serious when it comes to buying houses and helping the community. We can close as fast as 7 days if the title is clear. Call us today to sell your Grapevine house now or just if you have quesitons 469-209-5350. 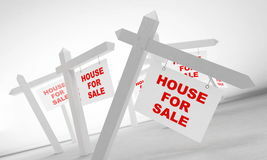 WHAT ARE THE 4 WAYS I CAN SELL MY HOUSE FAST GRAPEVINE? We buy houses Grapevine using these methods below…..
3. We can take over your payments. 4. Rehab joint venture – we will loan you the rehab money, do the rehab for you, and then sell the house. Each way we have ways to adjust the strategy to meet each seller accordingly to their needs. First, we buy houses Grapevine most commonly using cash. This seems to be our most sought after option. It is a great way to go and the most asked about, however that could be because most sellers are unaware of all the options that they acutally have available. A cash offer can help those who come to us saying I need to sell my house fast Grapevine in just a matter of days. You can get your cash and run and put the headache behind you ASAP. If a cash offer isn’t what you are looking for then we can offer to buy your house with owner financing. This is quickly becoming the favorite choice for the BABY BOOMER genreation who is downsizing during retirement while their grown children are now moved out of the house. Instead of selling the house quickly at a discount they choose to turn the liability into an asset and make monthly cash flow as part of their retirement. With owner financing you act as the bank and receive a large down payment up front, monthly payments until the remaining equity is paid off with interest, and most of if not all of your equity from a close to full market value asking price. The other reason people are turning to this option is to avoid the income taxes and pay capital gains taxes. 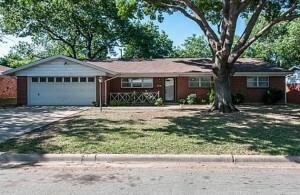 This is a good way to sell your Grapevine house fast. We buy houses Grapevine but we can also offer to join forces and partner with our rehab partnership program. We will offer to loan you the rehab money, do the rehab for you, and then sell your Grapevine house fast. This is the option that works for the owner who has a house that is having a hard time selling because it cannot compete in the market place against newer houses or recently renovated houses. If you do not have enough equity to accept a cash offer and you cannot afford to write a realtor commission or a check at closing this may be your only option besides letting us take over your payments. If your thinking I need to sell my house fast Grapevine this will not be a quick fix and may not work for you. It will take as long to sell your house as it does using a realtor. If you cannot afford to rehab the house or you can but you just are scared the investment will not be recouped we will come in and help. The last way we can help our community is by stepping in while owner’s are behind on payments, facing foreclosure, and have little or no equity. When you have no equity you cannot take a cash offer without writing a check at closing. Cash offers are discounted offers because we need to make a profit. If your behind on payments and facing foreclosure then your option is for us to jump in and make the payments on the house. What will happen is we will catch up all the back fees, taxes, and payments. We will bring you current and make the payments going forward. We will help rebuild your credit to protect your future right to own another house. When we find a buyer we will sell the house sometime in the future and cash you out of your loan. 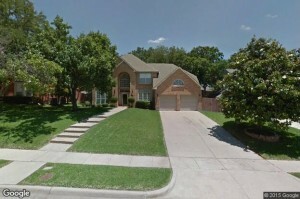 We buy houses in Grapevine using these four strategies. We also have a consulting program where we train and coach new investors who want ot learn the business actively. If you wish to be a passive investor we raise capital for real estate deals. We raise money to buy distressed properties and foreclosures and we pay our investors a fixed double digit return. To learn more about how you can work with us actively or passively call us at 469-209-5350. Or click this link to sell your Grapevine house fast…. More resources about selling a house….